Tim Healey July 15, 2011 Comment Now! It's a sunny Southern California afternoon, and you're blasting around Willow Springs Raceway, located a little less than 100 miles north of L.A. Pedal down as you approach the first turn, you count numbers on the dash, watching the speedometer climb steadily towards 130. You cross the start/finish line as the checkered flag waves, and you know your next lap will be taken at interstate speeds as you cool the car down following three flying laps. You reach the braking marker and slam on the binders, releasing the breath you didn't even know you were holding. 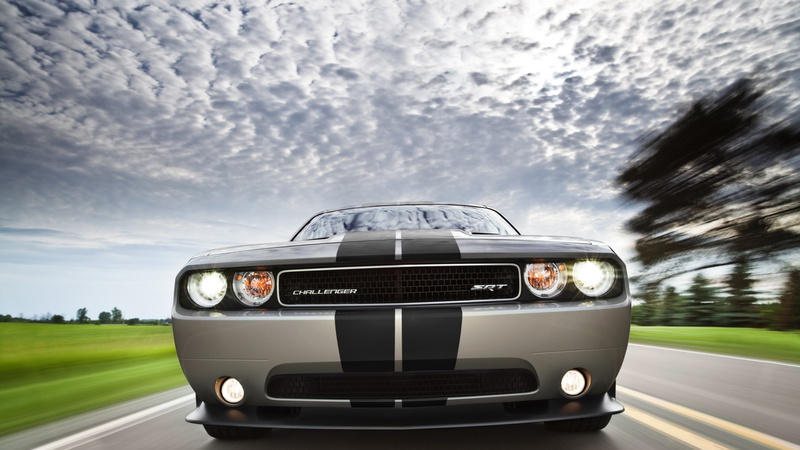 That, in a nutshell, describes the feeling of driving the 2012 Dodge Challenger SRT8 392 on the track. 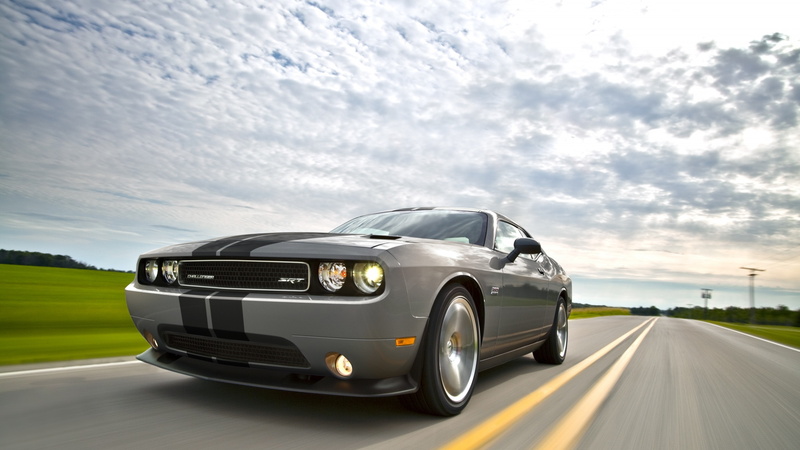 We drove the 2011 Challenger SRT8 392 on the track last fall, and not much has changed--but what has changed makes the Challenger that much better at hot lapping. For 2012, the car receives a two-mode adaptive suspension that offers an "Auto" mode that adjusts to road conditions and driver inputs and a "Sport" mode that locks in a higher damping rate for back-road blasting. The rest of the changes: A new heated steering wheel with shift paddles for automatic-transmission cars, and an 18-speaker Harmon Kardon 900-watt audio system with GreenEdge technology (basically, the amplifiers and speakers are tuned to use the least amount of energy possible). 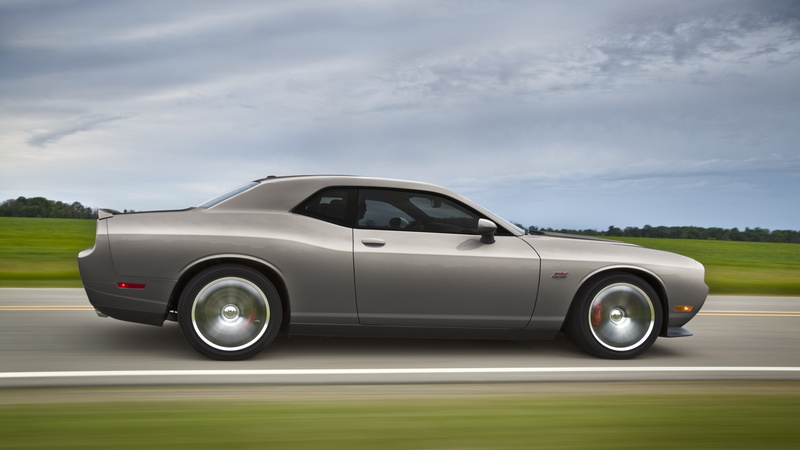 There's one big picture change: SRT is now its own brand, with former Dodge CEO Ralph Gilles in charge. Otherwise, the car remains mostly unchanged from its 2011 update. Specs for the updated 2012 version are as follows: Manufacturer estimated 0-60 time in the high four-second range, manufacturer estimated quarter-mile time of mid-12 seconds (high 12s with the six-speed manual) and top speeds of 182 mph with the manual and 176 with the five-speed automatic. If you're wondering, fuel-economy numbers are 14/22 mpg with the automatic and 14/23 mpg with the stick. We didn't get any wheel time on the street, but we did get three hot laps a piece in both the manual and automatic transmission cars, and there is a noticeable difference from our last track drive. The last time, we said the car felt more planted and more predictable than the 2010 model. Those thoughts haven't changed. But with the sport mode turned on, the car felt even lighter and nimbler, with the driver able to gain confidence with each lap. It still offers more muscle-car feel than sports-car verve, but it definitely has better dance moves than before, and the available power makes up for any sins the driver may commit upon corner entry. 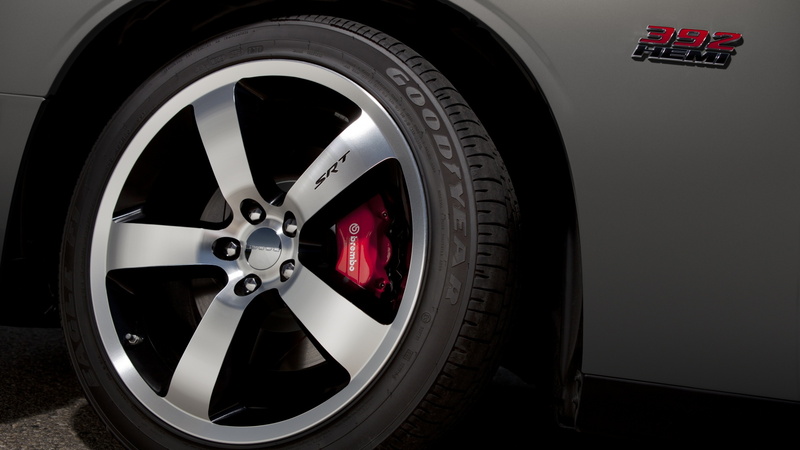 And the brakes are spectacular. Yes, the changes are subtle. 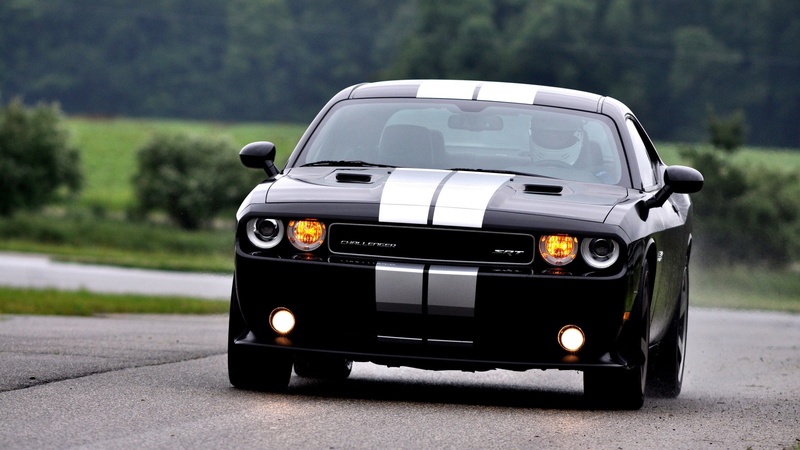 But they make a damn good car even better, which when one thinks about it, is really the intent of the SRT brand.